Artist Note: Image stamped Adirondack Pesto Ink. Colored with chalk. Reeds stamped with Nick Bantock Sapmoss Green. 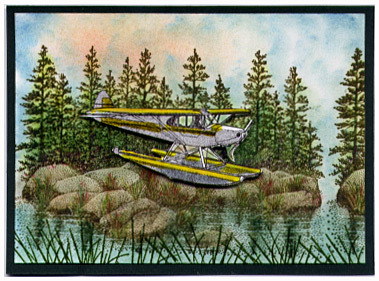 Cessna Float Plane by ImaginAir Designs.